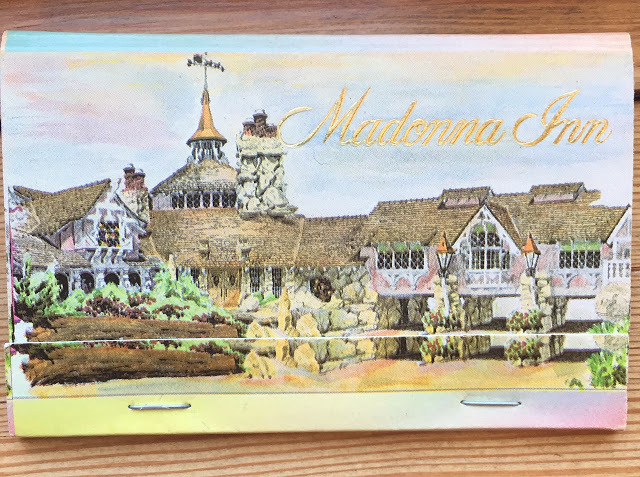 Don't miss our run to Madonna Inn, a landmark resort hotel on California's Central Coast, the weekend of July 22nd & 23rd. Since the Mid-State Fair is going on in Paso Robles, we taking a straight-shot down 101 for lunch. Hopefully we’ll finish lunch around 12:30/1pm. From lunch we’ll take a drive out to visit James Dean Memorial at intersection of CA 41 & CA 46, a quick stop at B&E Vineyard, then some twisties along route CA 229 & CA 58 into Santa Margarita before arriving at Madonna Inn for the 4pm check-in time. It appears Madonna Inn is completely booked for July 22nd at this time. If you didn't make your reservation, check their website for possible openings. Enjoy your morning at the Madonna Inn. Meet in the parking lot @ Noon, where you’ll be given the rules of the game, route clues and roadblocks for our own a-MINI-zing Race. The a-MINI-zing Race will take you to a few of the gems of San Luis Obispo that are not to be missed. From there you’re on your own to do more exploring, lunch, wine tasting, etc. in Paso Robles or head on home.